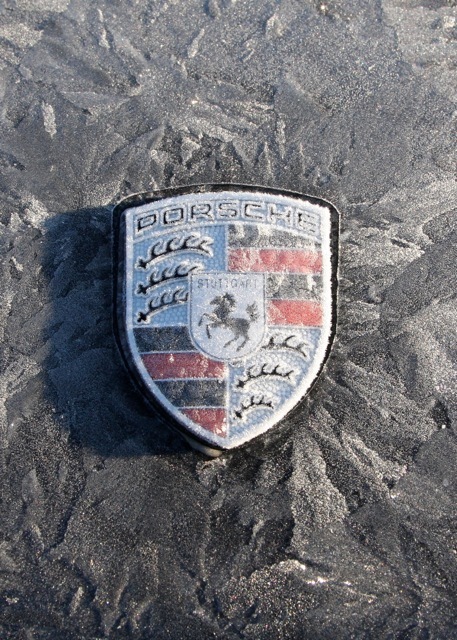 As the polar vortex plunges a large portion of the country into record deep freezes, the NCR team is dreaming of warm days ahead when we can drive our Porsche with the top down and the wind blowing through our hair. Okay, some of us don't have a convertible, and some of us don't have hair, but I did say we were dreaming, didn't I? I think even Captain Northlander is going into hibernation, because this month's Northlander is a double issue. I hope he remembers to set his alarm in time for April. For all of you DE drivers, registration officially opens today, so get over to the website and grab your spots. The PCA National Drivers Education Committee has also updated the Drivers Education Minimum Standards, so check out the updates and make sure you are compliant before the season starts. We also have new photo galleries for the recent Yankee Swap and Autocross Pool Party. It sure looks like they all had a great time! Stay warm, and remember #AprilisComing! NCR Drivers Education Registration is open! It's February 1st; the days are still too short; it's too cold; and there is a limited amount of grip on the white stuff that is everywhere. It's also opening day for NCR's Drivers Education 2019 registration and I always use this day to remind myself that winter is waining and those long hot days that require cool shirts are not far off. This year North Country Region(NCR) will be hosting four events for a total of eight track days. 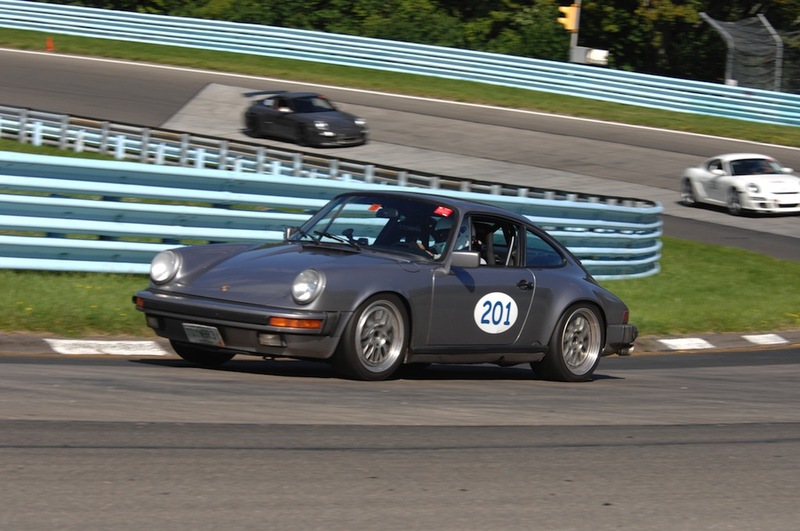 The first event will be on Monday and Tuesday (July 22&23) at Lime Rock Park. The event is a few weeks later than in past years, so plan for two hot days at this historic track. Two weeks later (August 1st) we will visit New Hampshire Motor Speedway for a mid week single day event that will provide those of you running older Porsches track time separate from those new and improved models. We will wrap up our 2019 season with two events at Club Motorsports in Tamworth. The first visit will be a three day event (Friday is for advanced drivers only) just after Labor Day weekend (September 6-8) and we will finish our season with two days at Club Motorsports with all it's colorful folliage (don't forget to make those hotel reservations early) on October 19&20). The PCA National Drivers Education Committee has updated the Driver Education Minimum Standards. All DE participants in 2019 must review this update as it may affect your car and equipment preparation for the upcoming DE season. The section of the Driver Education Minimum Standards document to take particular attention to is the use of a Head and Neck restraint system commonly known as a HANS device, is now mandatory for both student and instructor when a five, six or seven-point harness are being used. Exceptions and detail for some Four-point systems are also listed in the document. "The participant should BE AWARE that the addition of such a seat and harness system results in the occupant being fastened upright in the vehicle. Therefore, in order to have a COMPLETE SYSTEM, a properly padded roll bar or roll cage is recommended, and an approved head and neck restraint device is required. A head and neck restraint device certified as meeting the standards of either SFI 38.1 or FIA 8858 or its successor is required. The use of such a harness system without roll protection and a head and neck restraint device may result in an unsafe environment and is not a COMPLETE SYSTEM. Roll bars or cages and their installation must meet PCA Club Racing Standards. When using a head and neck restraint device, it is recommended that one follow the SFI Recertification process for the head and neck restraint device. The instructions for this can be found on the device. Additionally, it is recommended that the straps be replaced every five years." A Head and Neck restraint system commonly known as a HANS device, is now mandatory for both student and instructor when a five, six or seven-point harness is in use. A suitable roll bar or roll cage is Strongly Recommended when race seats and harnesses are in use but is not mandatory. A suitable roll bar or roll cage along with a Race Seats and Harnesses provides the driver and instructor with a complete safety system. It is recommended that sedans and coupes with racing seats and harnesses without a roll bar or roll cage have *functioning factory provided three-point seat belts in the car. Sedans and coupes with racing seats, harnesses and *functioning three-point factory belts that do not have a roll bar or roll cage, are allowed to use factory *functioning belts with an instructor but both occupants must use the same restraint method. Students and drivers that utilize racing seats and harnesses without suitable roll protection and do not have *functioning factory provided three-point seat belts in the car, will not be provided an instructor; this includes check-out rides. * Functioning three-Point belt requires the same fitment as provided by the stock seat.